HTML5 Client – Finally a fully featured HTML5-based vSphere Client, now a one stop shop eh, ah alas still so many people love(d) the c# client, ah well onwards and upwards. vCenter Server Converge Tool – HHmmm whats that? well this is an interesting one, think back (not too far) when you wanted to setup enhanced link mode ELM between vCenter Servers and the only supported topologies included having external PSC’s…??? right, you remember, So now, the likes of ELM is supported with embedded PSC’s but how do you simplify your infrastructure after all the hard work is done?? you use the vCenter Server Converge Tools of course. Sounds great, and saves on resources then I presume and a few less machines to manage/update. Also another use of this tool is to point/repoint a VCSA with embedded PSC from one vSphere SSO Domain to another, also very handy.. Cluster quickstart – An easy way to create a cluster, add hosts, and configure those hosts so they are all identical & the configuration includes HA & DRS, Enhanced vMotion Compatibility (EVC), a vSAN datastore, and networking including a Virtual Distributed Switch (VDS). Sounds Sweet. Integration of I/O controller firmware update with VUM – updating software and firmware in one patch cycle using integration with a vendors update utility such as Dell OME. VUM will have a baseline for I/O firmware etc etc. This sounds great, and will need more research on I reckon. Importing of OVA from Https and local storage endpoints now possible. Syncing OVA template contents from one vCenter Server to another. 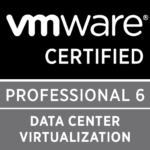 Now my VDI experience is pretty minimal apart from playing with some other product beginning with the letter C, so the below explanation is a copy and paste from the 6.7u1 deep dive blog here. 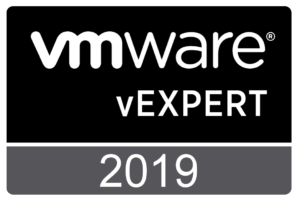 With vSphere 6.7 Update 1, VMware and NVIDIA have collaborated to significantly enhance the operational flexibility and utilization of virtual infrastructure accelerated with NVIDIA Quadro vDWS (formerly known as GRID) vGPU technology. 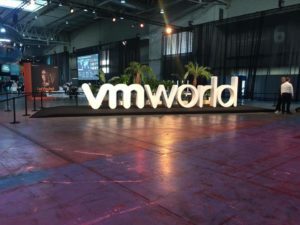 Following the introduction of Suspend and Resume capabilities in vSphere 6.7, VMware and NVIDIA are introducing VMware vSphere vMotion with NVIDIA Quadro vDWS vGPU powered VMs. Now, infrastructure administrators can perform maintenance operations on the underlying GPU accelerated VDI or Compute infrastructure while ensuring that end-users and their applications are not disrupted. For example, consider an emergency patching or urgent infrastructure operation needed to be carried out on the NVIDIA Quadro vDWS vGPU accelerated VDI infrastructure of a group of industrial designers, designing CAD models of a new product. Previously, to carry out that maintenance operation, all of the VDI desktops had to be completely powered off, disrupting their work and lowering their productivity. Alternatively, the administrator had to wait until after-hours and hope they all adhered to the IT team’s request to save their work, otherwise, it would be lost. With the introduction of VMware vSphere vMotion for NVIDIA Quadro vDWS vGPU powered VMs, these complexities are a thing of the past as IT administrators can seamlessly migrate the vGPU powered VMs to another host and perform the required maintenance, eliminating productivity disruption and increasing the agility of the IT staff.